Every few years, our talented team of 2D / 3D designers & animators work towards putting together a video that showcases our latest work (it also gives them the opportunity to show off their skills). 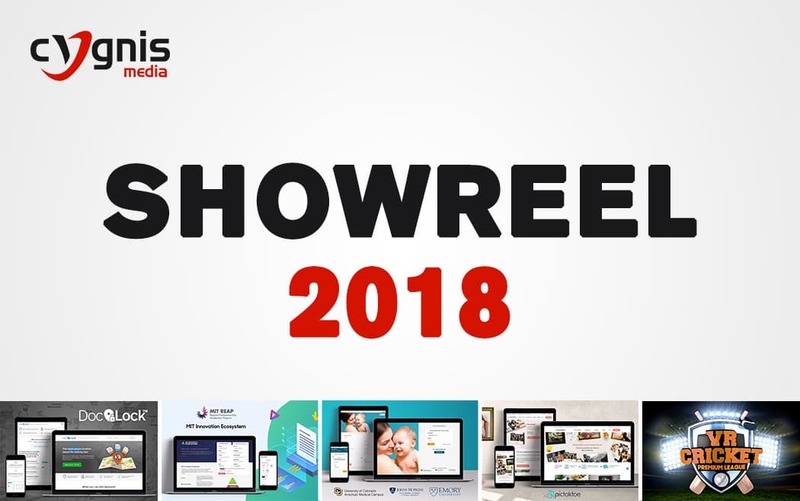 With 2018 now just 2 months away from drawing to a close, we felt it would be a good time to unveil our showreel containing some of the fantastic projects we were fortunate enough to work on this year. Starting off the video is The Body Shop, a globally renowned brand in the cosmetics, skin care and perfume space. For this project, we custom built a robust E-commerce web application that conformed to the global standards and guidelines set forth by the brand, while providing the local bodies enough flexibility to cater to the region’s specific needs. 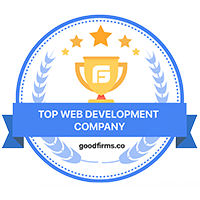 The site was built to be optimized for marketing campaigns, SEO and conversion and provided the administrators a back-end system where they can moderate and maintain every aspect of the product. Need to build an ecommerce app? We offer a fully custom solution built to your needs, covering everything from inventory management to payment processing. Next up is the MIT Innovation Ecosystems web application. MIT is a name that needs no further introduction. We had a fantastic experience working with them on this project, which entailed designing & developing a web application that allows MIT students and faculty members to build custom graphs & reports from 3 decades worth of data for 180 countries using 40 different metrics. These can be plotted in various ways, compared against each other, exported and downloaded to be opened in Excel, or as an image file to be used in presentations. MIT is using this tool in Masters and P.H.D. level economics classes as a tool for research & learning. Then we have iEvent, a SaaS product that allows event managers to dynamically create beautiful and customized applications (for iOS & Android) for their events. It even generates a microsite for the event as well, using all the data that is fed in through the self-serving back-end panel. Once the event manager uploads all the event information such as agenda, speakers, attendees, map, etc. 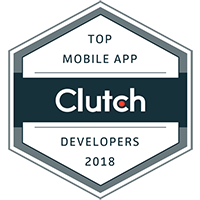 (there are over 20 different categories available), the product automatically generates an iOS & Android app which is submitted to the App Store & Play Store. And of course, the colors & UI of the application & microsite are fully controllable from the back-end panel as well, ensuring that your event application is perfectly in sync with the brand guidelines. Then we have DocLock – a fantastic new way to share documents in a secure manner. We were approached by a serial entrepreneur looking to disrupt the document sharing workspace with a fantastic and novel idea. We designed and developed an application where users can share documents with each other, and specify a geo-location where this document is accessible. Complete with enterprise grade security protocols and document access tracking, users of DocLock can share sensitive documents with the peace of mind that their documents will not leave their office premises (or other specified safe-zones). As we move forward with this product, we are embarking on the next step of bringing DocLock onto the Blockchain platform. We then got to embark on a fun new style of project, different from anything we had built previously. In this B2C space, we built PicTakToe for a group of entrepreneurs. This E-commerce product aims to take people’s memories out of their phone camera rolls and into their hands, or onto their walls. With PicTakToe, the customers can go to the web site either from any of their devices, and upload their pictures. They can then design their own stunning Photo Books, Canvases or select from available Frame styles. There are dozens of themes and templates to choose from and place your order, which is then delivered to your doorstep. In just its first 3 months, PicTakToe has taken the country by storm. For GMC Sierra, we built a Facebook Hub. We custom designed & animated a 3D model replica of their latest truck, brought it to life and put it on the web for users on social media to be able to get a real feel for the product. On this Facebook Hub, users are able to browse the different features, a gallery of interactive elements and find out what people are saying on the different social networks about the truck. Next up, we worked with some incredible minds over at John Hopkins University & Emory University. In order to spread awareness for getting the Flu Shot (as flu season is quickly upon us), the Moms Talk Shots web application provides a quick survey for expecting moms, or new moms to take. Based on the answers they provide, the survey adapts and asks further follow-up questions. Then, based on the final answers of the survey, the user is shown a series of videos which are most relevant to them. At the end, they are given a discount coupon for Walgreens where they can receive a flu shot, or any other medication they require. The system also sends follow-up surveys, custom email reminders, and much more. This entire system is controllable via a dynamic back-end through which the admins at John Hopkins University can build their own surveys, detail the rules based on which different videos are served, create follow-up email templates, setup rules based on which reminder emails and follow-ups are sent, and much much more. This project was an incredible exercise in building systems which can adapt to several different use cases, and scale accordingly. Finally, we cap it all off with some VR fun! We designed and developed 3 VR games, VR Cricket, VR Food Truck & VR Basketball. This was a study in Virtual Reality for us and we learned an immense amount putting it all together. Our VR Cricket & Basketball apps were downloaded over 50,000 times and well received by users across the board. We were pleased to hear all the feedback, especially considering these were just fun experiments for us, as we embark on bigger enterprise grade VR Projects in which we are tackling user training scenarios for on-site workers. We are extremely excited about the direction and potential of VR and AR in the years ahead. These are just a few of the fantastic products we had the pleasure of working on in 2018 with some incredible clients and partners. Growth and learning are two core pillars of our ethos at Cygnis Media and we are extremely proud of the fine work our team of men & women have put forth in 2018. We can’t wait to see what we create in 2019! Stay tuned.